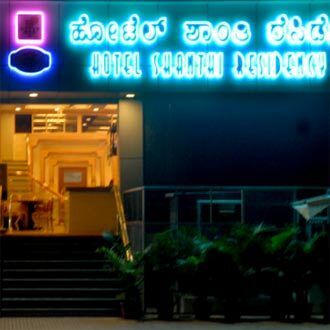 Shanti Residency, a 3 Star hotel is located in the heart of Indira Nagar, and is just 2 kms from the airport and the M.G. Road. Housing a total of 30 comfortable rooms, it also boasts a conference hall that can hold upto 70 guests. Guests can enjoy a sumptuous meal at Trishna, the in-house multi-cuisine restaurant.